Mark is a photographer, travel writer and social media influencer who specialises in promoting travel and outdoor experiences. He is known for his ability to capture images that inspire people to visit the stunning locations he has photographed and experience those unforgettable moments outdoors. Mark was previously an accountant for 14 years but switched off his calculator to follow his true calling. Mark's photography focuses on his passion for travel and the outdoors which has led to a strong following online with over 80,000 fans across Instagram, Facebook and Twitter. With every new trip goes a lot of research. Finding new angles to showcase a location are paramount to ensuring that these images stand out on social media. With so many people taking photos and sharing them online every day it's important to photograph a location in a way that hasn't been seen before. In order to do this Mark has two favourite pieces of equipment. The first is an underwater accessory, the dome port for his Olympus E-M1 Mark II. The dome allows for photographs to capture life both above and below the ocean in a single image. Mark also uses drones to share unique angles from the air which showcases images of destinations in a way that have rarely and in some cases never been seen before. 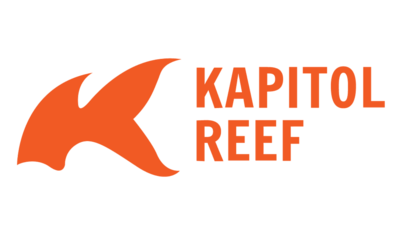 Mark has fantastic support from Olympus and Kapitol Reef. They provide Mark with the best equipment to enable him to capture world class images. Tourism & Events Queensland, Tourism NT, P & O Cruises Australia, Great Barrier Reef Marine Park Authority, Tourism Philippines, Choice Hotels, Coral Expeditions, Christmas Island Tourism Association, Tourism Whitsundays, Townsville Enterprise, Mackay Tourism, Daydream Island, Visit Sunshine Coast, Tourism Noosa, GAPDL, Capricorn Enterprise, Sealink QLD, Lady Elliot Island, Heron Island, Keswick Island, SeaLife Mooloolaba, Island Air Mackay, Southern Great Barrier Reef, Bundaberg North Burnett Tourism, Tech 21.